This morning, Greg and his friend Eric head west for a week to visit their future home, Los Angeles, to scope out future jobs, apartments, and maybe, time permitting, a little beach lounging. Just another freak in the freak kingdom. Talk to you all when I get back. It's a Swan, It's a Parrot, It's a...Noose? 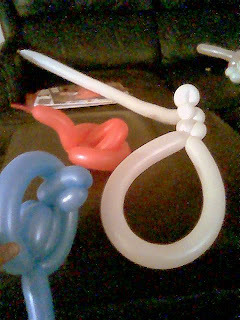 For those who wonder how Greg spends his Friday afternoons, here's your answer: balloon animals. That's right, my friend Eric and I spent some time Friday making giraffes, parrots, and a whole menagerie of colorful latex animals for our upcoming short film, My Life with Funzo. The balloon noose will be made after Funzo has his feelings hurt by the main character...funny stuff. Also, I met with a group earlier today called Centripetal Fire. They're a bunch of highly talented fire spinners who perform around the city and will be putting on a show tonight at Albuquerque Summerfest. It was awesome playing around with them, and they even asked me to join their troupe, which was way cool. I'll be helping out with the safety end of things tonight, but in time, they may even let me on stage to perform. God help us all. 1. Queensryche - Operation: Mindcrime - One of my favorite bands, Queensryche released a near-perfect album about a disillusioned man brainwashed to assassinate political leaders. Oh yeah, there's also a tragic love story with the protagonist and a prostitute-turned-nun named Mary. I truly heart this album. 2. The Flaming Lips - Yoshimi Battles the Pink Robots - A love story about a young Japanese girl who saves the world against man-eating robots. This stuff writes itself. 3. Pink Floyd - The Wall - Oh, to have seen Pink Floyd live. This album is a testament to the grand vision of a group that made complete albums, not just a collection of songs thrown together. 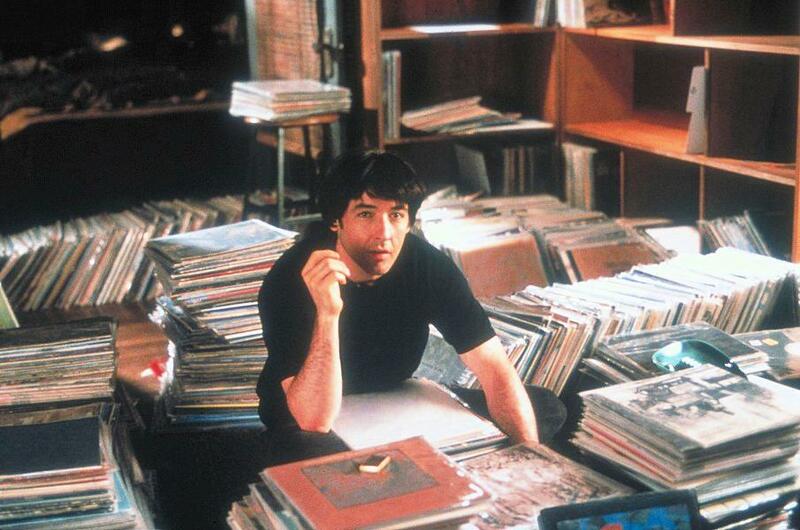 I thought about using Dark Side of the Moon (a better album), but I was looking for a cohesive story. Hence, The Wall. 4. Deltron 3030 - Deltron 3030 - Del and Dan the Automator craft an amazing album about the state of hip hop in the year 3030. From the epic and eerie "3030" to tracks like "Positive Contact," "Virus," and "Memory Loss," Del's vocal talents are in full force on this album. 5. The Who - Tommy - "Listen to Tommy with a candle burning and you will see your entire future." How did Greg spend his first day of unemployment? Look below and find out. Apparently now I know my ABC's, won't you read long with me? Angry big cats dine entrails from gazelle herds; impalas jump knowing large meat-eaters nibble on peaceful quails, ripping sinew; tries unwavering vigilance with xenophobic yaks, zebras. Zoologists: “Young xylem within vascular umbrella trees survives releasing quick photosynthetic operations. Nectar makes little kangaroos jump, inviting herbivore gluttony; frequent elevations demand constant botanical aliment." Or as they're officially called, the judges of the Duke City Shootout (although I think the Pussycat Dolls fit that heading, too). Today, seven scripts were chosen for a local film contest that brings in competition from all around the country. My friend Eric and I turned in what we believed to be a damn fine story about the Chupabarbara (the Chupacabra's charitable counterpart) in mockumentary style, but they decided to go with projects such as "So Five Minutes Ago" and "The Pitch." Wow, sounds gripping. Douches. So it appears that my friend and I will now be able to produce this film our own way, rather than making a trimmed and watered down version that we had turned in to make the time limits for the DCS. So I'll keep everyone posted as to the status of that, along with all the other projects we'll be working on. Oh yeah, and plenty of them (projects, that is: music videos, short films, and general hilarity). I'll be quitting my job starting Friday, and look forward to a summer full of writing, filmmaking, and overall creative goodness. Keep an eye out at P2S for upcoming fun and frivolity.